Hear from Jim Best, Mercy Health Care IT Consultant, explain how Mercy built a best-of-breed cloud-based imaging platform based on Visage 7. Nine legacy PACS were eliminated and imaging services have been transformed across the nation's 5th largest Catholic health system, spanning 4 states, 40+ hospitals, and 2M+ annual imaging exams. 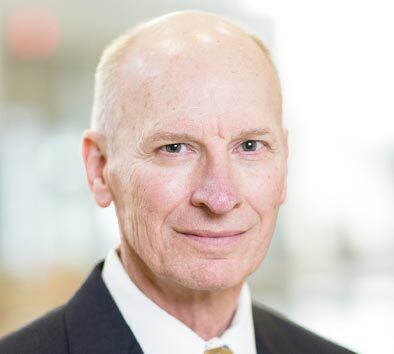 Jim Best has 40+ years of clinical and health IT experience. The first 30 years of his career were in radiology. From his start as a CT technician, Jim held roles as radiology manager, director and vice president of imaging operations. As an IT leader, Jim led a multidisciplinary team responsible for Mercy’s implementation of the Epic EHR platform, a team that has since deployed Epic to over 55 hospitals and hundreds of clinics. Most recently, Jim consulted with Mercy as it rolled out a new best-of-breed PACS imaging software platform. Visage's proven success continues, as we've just announced the signing of Partners HealthCare, where they are transforming imaging around the Visage 7 Enterprise Imaging Platform as the single diagnostic viewer across all of Partners! We've also gone live this year with historic implementations of Visage 7 at some of the world's largest, most prestigious institutions. Want to learn more? Join us for "Proven. Enterprise Imaging" at the Healthcare Information Management Systems Society (HIMSS) 2019 annual meeting, Booth #1391 in Orlando, FL, February 12-14, 2019! We're excited to meet with you, as we'll have expert staff on hand, including our entire executive team and CTO, Malte Westerhoff, PhD. 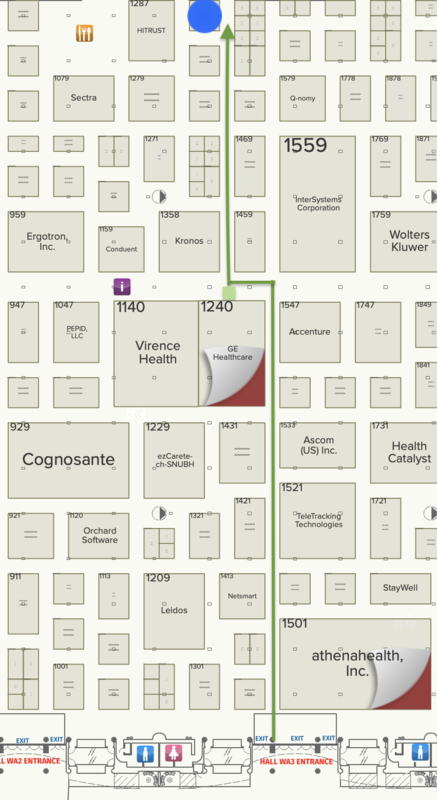 Here's a live floorplan link to Visage Booth #1391, in the HIMSS19 Exhibit Hall. Checkout the proven and acclaimed Visage 7, including the exciting Visage 7 Open Archive, to experience the fastest, most reliable solutions in Enterprise Imaging. At HIMSS19, we'll also be demonstrating Visage 7's latest developments (Visage 7.1.14*) supporting multi-modality imaging, as well as other clinical image data, whether for ophthalmology, OR documentation, or other photographic use cases. Additionally, we'll be demonstrating Visage 7 AI*, Visage's ideal artificial intelligence (AI) concept to bridge both diagnostic imaging and data science research through the use of the same enterprise imaging platform. Please enter your contact information, along with preferred date and and time, as well as any special requests, and we'll work to schedule you a priority demonstration. Don't delay, as the schedule fills quickly.